Christmas, birthdays, Valentine’s, retirement… whatever the occasion, if you’re looking for a special Spitfire themed presents for a special someone, there’s no shortage of tempting offers. A wide range of gifts at very affordable prices can be found at the Society's own shop and Ebay store, IWM gift shop, the RAF Museum Shop, the Air Force Shop, Flightstore and similar outlets. Whether you treat a loved one to a favourite Spitfire T-Shirt, coffee mug or notebook, it’s bound to put a smile on their face. But could you do better than that? Something bigger and bolder? Why not go the extra mile and find a truly special gift to make your Spitfire fan positively leap with joy? Here are 4 fantastic ideas for your consideration. For a true aviation enthusiast, nothing beats an experience with a real warbird. No doubt you know that Britain has 30 of the 54 surviving airworthy Spitfires and Seafires. Many of them can be seen overhead and admired from a distance, of course, but how about seeing a Spitfire up close, sitting in the cockpit and even taking to the air? Spitfire Experiences come in many variations. Some will offer a guided VIP tour of the heritage hangar to show off their classic aircraft, along with a chance to talk to the restoration team and to sit in that hot seat. These historic hangars are usually not open to the public, guaranteeing you a privileged peek into the fascinating world of British aviation. You can fly in formation with a Spitfire from Duxford, where you’ll be able to see the iconic warbird from your vantage point as a passenger in adjacent plane. Or you can experience the full-on thrill of a two-seater Spitfire flight in person – a memory making experience if ever there was one. 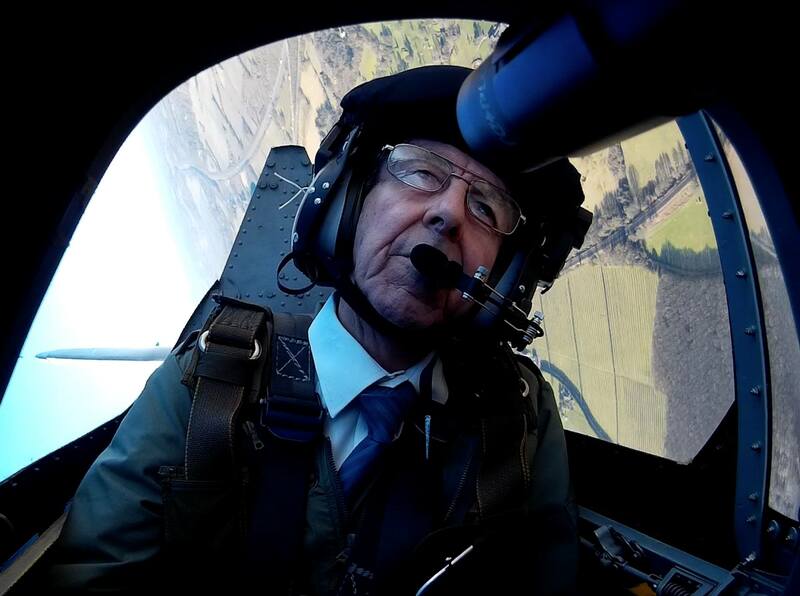 To top it all, there are 1 and 2 day Spitfire pilot training courses where you will learn to fly vintage aircraft just as our boys did back in the 1940s! What’s the next best thing to having a first-hand encounter with the iconic WWII warbird? Supporting the build of new Spitfire aircraft, of course! The Spitfire Club offers a number of ways that you can get involved in supporting an ambitious project to build a 12 ship squadron of the new 2 seater MK26B Spitfire from Supermarine. ACESquadron is Britain’s newest Spitfire squadron, based at Enstone Airfield near Oxford. It’s a tribute squadron dedicated to ensuring that the legend will live on. You can join as a Friend or Supporter, or choose from a number of sponsorship packages with several levels of engagement ranging from funding a set of 5 rivets through to having your name on the sponsor wing board or even having a flight in the rear seat of a new MK26B! 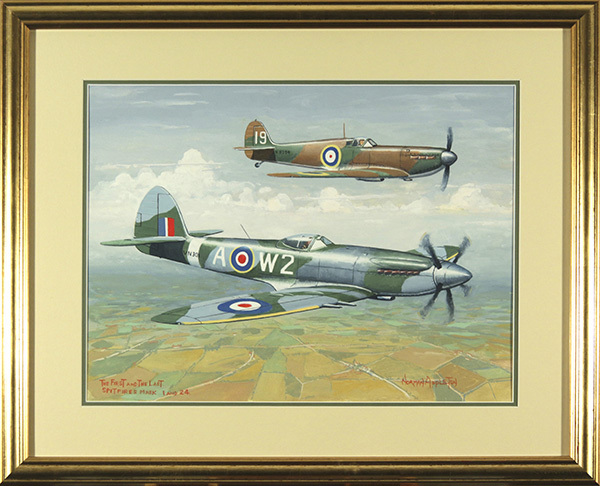 Aviation art is a well loved niche in the art world and there are many wonderful paintings depicting evocative aerial World War II scenes featuring Spitfires in action. If you would like to make an investment into a piece of original artwork, your first port of call should be the Guild of Aviation Artists (GAVA). Here you will find a wealth of information, exhibition events and artists’ profiles including renowned Spitfire painters Terry Akehurst, Martin Bleasby, John M Boyd, Keith Burns, Keith Woodcock and many more. Then there’s Geoff Nutkins, a distinguished artist in the field whose glorious gouache paintings are displayed in collections all over the world, including the Royal Air Force Museum, Hendon, The RAF Club, London, in book and magazine illustrations. His considerable talents have won him the prestigious Nockold Prize in 1998 and 1999, while his wonderful Scenes of the Battle of Britain raised more than £100,000 for the RAF Benevolent Fund. There is also the Military Gallery and Aces High Gallery which provide a wide range of aviation art in various mediums. Renowned British gentlemen’s jewellers Deakin & Francis have been making the world’s finest handmade cufflinks for over 230 years. Among their wide range of traditional signet rings, cufflinks and luxury accessories is a stunning selection of detailed British Spitfire cufflinks that would make the perfect present for the discerning gentlemen. Featuring a full set of Deakin & Francis silver hallmarks for full authenticity and luxuriously packaged in a presentation box and gift bag, this is a gift of serious refinement and elegance and surely as patriotic as it gets.